WASHINGTON -- U.S. Sen. Susan Collins of Maine started 2013 with more than $900,000 in campaign money and approval ratings that, according to one recent poll, place her among the five most popular senators in the country. WASHINGTON — U.S. Sen. Susan Collins of Maine started 2013 with more than $900,000 in campaign money and approval ratings that, according to one recent poll, place her among the five most popular senators in the country. The question is, will anyone step up to challenge her in 2014? Documents filed this week with the Federal Election Commission show that Collins is amassing a sizable war chest, just in case. Collins has raised in excess of $1.1 million during the current election cycle, including $113,167 in donations between Oct. 1 and the end of December. She ended the period with $921,220 cash on hand. The $1.1 million is more than twice Collins’ total at this point in her 2008 campaign when she defeated Democrat and former U.S. Rep. Tom Allen during a race that set a Maine record for spending at $14 million. Democrats and Republicans in Maine are gearing up for what is expected to be another bruising battle for governor in 2014 as candidates begin to emerge and rumors swirl of other big names considering a run. By contrast, no one has announced an intention to run against Collins that same year, despite conservative rumblings about a potential challenger to the moderate Republican. And even if a conservative challenger emerged, he or she might struggle to find support within party ranks. “The House Republican leadership fully supports Senator Collins in her next run against any primary challenger,” David Sorensen, spokesman for House Republicans in the Maine Legislature, said on Friday. Maine Democrats say they also expect to field a candidate but, as yet, no serious names have emerged. All attention appears focused on who will step up to run against Republican Gov. Paul LePage and his 2010 rival, independent Eliot Cutler. A recent voter survey by Public Policy Polling suggested that even two of the more popular Democrats in Maine — U.S. Reps. Mike Michaud and Chellie Pingree — would fall to Collins by 20 percent or more. A representative for the National Republican Senatorial Committee, which works to win or defend Republican seats in the Senate, did not return a request for comment on Collins’ race on Friday. Among Republicans, one name that popped up repeatedly as a potential conservative challenger to Collins is Bruce Poliquin, the former state treasurer who ran for governor in 2010 and U.S. Senate in 2012. Poliquin could not be reached for comment on Friday, but some in the party have reportedly been urging him not to run. 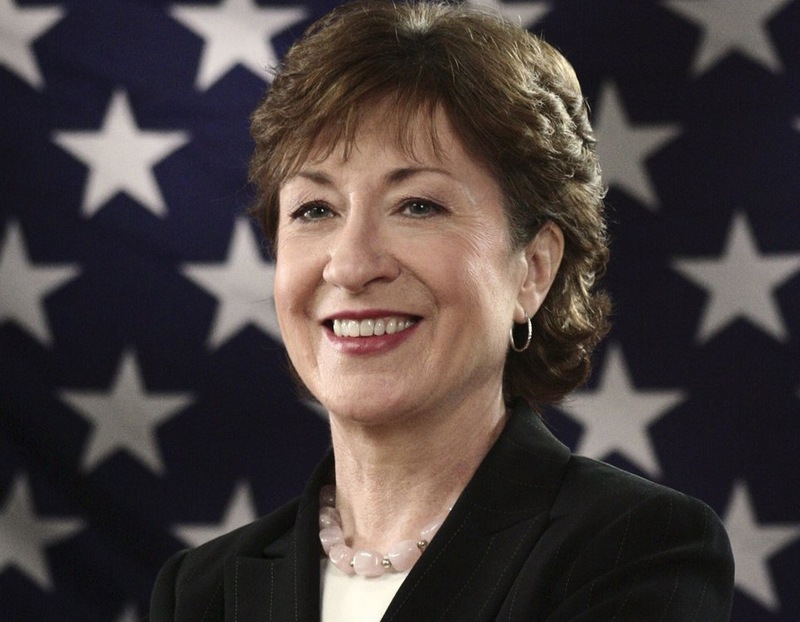 Collins has yet to formally announce her candidacy, although her spokesman, Kevin Kelley, said Friday that the senator has indicated that she plans to run. Snowe dropped her re-election bid about nine months before voters went to the polls, open the door for independent Sen. Angus King’s victory. Collins has also yet to launch into full fundraising mode, despite the cash flowing into her campaign account. About $47,000 of the $113,000 raised during the final three months of 2012 came from individuals. The remaining $66,500 came from political action committees, with most of it tied to two events: a $1,000-per-PAC birthday party and fundraiser for Collins on Capitol Hill in December and a fundraiser for Collins sponsored by a home healthcare group in Florida in November. Her ability to raise large amounts of cash even when not campaigning is one of two major advantages that almost all congressional incumbents enjoy, however. The other is name recognition. The poll of more than 1,200 Maine voters released last week by PPP found that Collins had 60 percent approval rating even among Democrats. Roughly 65 percent of Republicans approved of her job performance as did 62 percent of independents. Those figures place her within the very top tier in the Senate. “We’ve polled about 90 sitting senators and, out of those, she is tied for 4th place,” said Tom Jensen with North Carolina-based PPP. Jensen noted that Snowe also consistently ranked in the top 10, making Maine and Wyoming the two states happiest with their senators. But the PPP poll also suggested that Collins could be vulnerable to a conservative primary challenger perhaps from among the Republicans’ tea party supporters. Collins led 49 percent to 46 percent when gauged against a hypothetical unnamed more conservative primary opponent. Jensen added other Republican incumbents with higher approval ratings than Collins have lost in the primaries. “Unless you have over an 80 percent approval rating within your own party, you are vulnerable” to a conservative challenge, Jensen said.